Reno, Nevada – July 2015 – Gilbane Building Company, a global leader in construction services, has been selected by the University of Nevada, Reno to manage the renovation of the historic Lincoln Residence Hall. This project will include converting the three-story residence hall to an administrative office building. Built in 1896, it is the second oldest and historically significant building on the university’s campus. 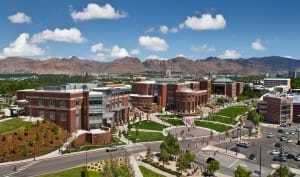 “Gilbane is proud of this selection, as we have focused our efforts on developing a long-term relationship with University of Nevada, Reno and look forward to demonstrating the benefits of the CM at Risk delivery method on this and future projects on campus”, said John clays, Northern Nevada Operations Leader, Gilbane Building Company. Gilbane has been successfully managing construction projects in the Northern Nevada area since 2005, which have included complex Construction Management at Risk and Design-Build projects such as Charles River Laboratories, Nevada National Air Guard, and the U.S. Postal Service’s Mail and Maintenance Facility and multiple locations throughout the state for AT&T. Gilbane takes great pride in serving the clients within our local community and across market sectors.